Panzer General 2, Panzer Corps, Order of Battle…. What comes next? Why is the turn-based wargame Panzer Strategy unique? There are some differences from the games PG 2, Panzer Corps, Order of Battle. The success of the game Panzer General 2 brought popularity to the genre of hexagonal turned-based strategies. No wonder that such a successful project acquired engaged followers. Moreover, after Panzer General 3 appeared in 2000, the development of the series PG faded out but the demand for such games didn’t disappear. As Panzer Strategy is also to some extent “a spiritual successor” of Panzer Game, I’d like to compare it with “its counterparts”. As an example, let’s take the two most famous PG followers-Panzer Corps and Order of Battle. The game Panzer Corps was released by a small firm called “The Lords Game Studio” in 2011. The Panzer General fans took it with interest - rather, after such a long break something significant appeared in their favourite gaming niche. Though most critics note that the new game resembles good old Panzer General very much. On the one hand, the aspiration of game-makers “not to repair what is not broken” is quite clear, but on the other hand, the technologies have greatly advanced for ten years and the unimposing graphics, as if migrating from the 90s, doesn’t impress now. And the gameplay seems a bit simple. Instead of fully-functional tactical thinking, only the general understanding of the rules of a game is required from a player. The supply system has been also introduced, though it isn’t very realistic- for example, there is no possibility to cut off communication lines. The further development of Panzer Corps was in the issue of supplements devoted to the different World War II operations (they number 17 in all). 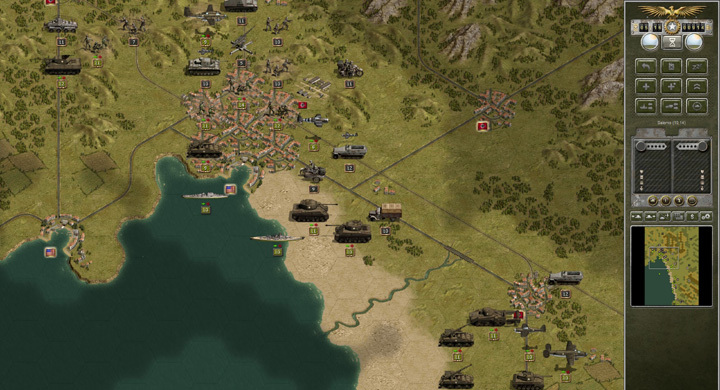 Order of Battle: World War II- the hexagonal strategy of the studio Slitherine, released in 2013. The more complicated war model is realized here: turning movements and encirclements can bring quite realistic tactical bonuses. Al (a computer intellect) is strong enough in the game, and can answer every your manoeuvre with a crafty trick. Fun is added by the secondary objectives of missions, which are sometimes so many that you have to choose among them. As in Panzer Corps, the game has many supplements devoted to the different Combat Theatre operations of WWII. But their historical realism isn’t high- for example, during the Polish Campaign BBC of Poland dominates over the Luftwaffe, The Allied Tank Corps, exceeding in forces, stop the Wehrmacht in the Ardennes and so on. Order of Battle differs graphically from Panzer General and Panzer Corps only a little; the same two- dimensional picture with the minimum of details. Somebody will say that the graphics in the wargame is not very important, but after 20 years one wants to see something more attractive on the Full HD monitor than 2D sprites in resolution 640x480. Besides, an immersion in the atmosphere of military actions depends on a graphical constituent, therefore, there is no reason to ignore it. 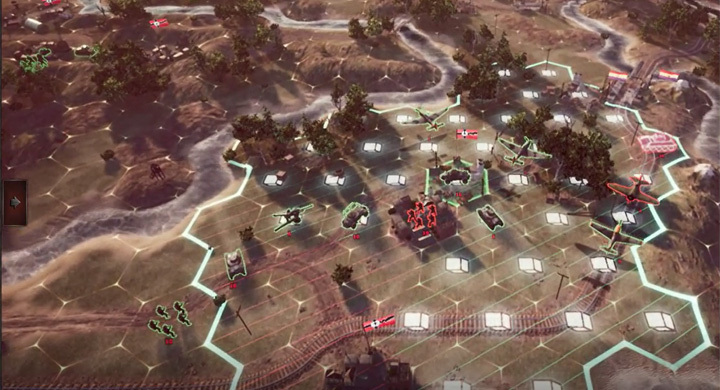 Panzer Strategy is built on the Unreal Engine. The present-day three-dimensional (3D) graphics has been realized in the game. The camera moves freely over the battlefield, so you can view the whole map, or examine any object with going into details to the maximum. Nevertheless, the most important thing in the wargame is the model of military actions. In Panzer Strategy it is built on the classification of PG principles but there are some points which make the gameplay very realistic. First, absolutely all the missions in the game are based on the realistic maps of military actions. If a defensible region is located anywhere, you should be sure that it is situated on the same place in the game where it was in reality. Performing a mission doesn’t only mean the offensive of a compact group of military forces and killing the enemy units met on the way. You will actually have to break through the enemy defence, and this can be based on forts, blockhouses, minefields and offshore artillery installations. Moreover, we have decided not to limit ourselves to an offensive, and have made the other types of missions: a defence, a strategic air offensive, a sea battle, air and sea landing operations and a city assault. Secondly, the supply system hasn’t any counterpart in the other wargames. It is built so that the military effectiveness of troops, that are encircled, critically drops during a couple of moves. That’s why, a manoeuvre in Panzer Strategy plays a decisive role - much bigger than an attack. the system of attaches and heroes given to the units. Everything taken together creates the vivid and most closely approximate to the reality pictures of military operations. You can win in every mission as a minimum in two or three different ways. Initially, in Panzer Strategy: Blitzkrieg the non-linear Campaign of Germany, consisting of 18 missions, is introduced. Depending on its passing, some hypothetical operations, for example the Operation “Sea Lion”, will be accessible. As in Order of Battle there are main and secondary mission objectives. The mechanics of the game allows to choose the most various secondary mission objectives- from seizing military plants to sinking a definite enemy ship. Their fulfilment influences on the further passing of the Campaign. In general, the game Panzer Strategy can definitely fight for the title of the most innovative wargame. In comparison with Panzer General 2, Panzer Corps and Order of Battle it looks much more attractive and modern.